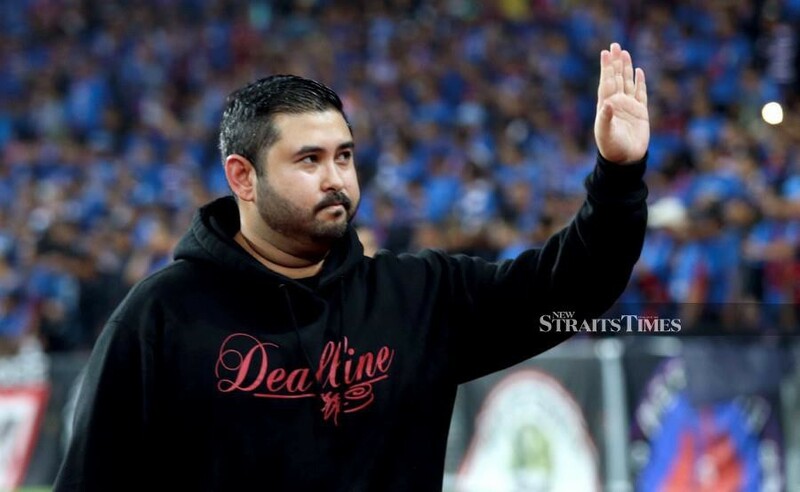 Malaysia Football League (MFL) chairman, Tunku Ismail Sultan Ibrahim has responded with an ultimatum to Telekom Malaysia (TM), that if MFL are ‘lying’ with regards to the termination of the sponsorship contract that was done last Friday, then they should pursue legal action. KUALA LUMPUR: Malaysia Football League (MFL) chairman Tunku Ismail Sultan Ibrahim said today (March 19) Telekom Malaysia (TM) can “drag him to court if he is lying”. This was his response on Twitter to TM’s statement on the termination of an RM480 million sponsorship of the M-League with MFL. TM stated on Monday (March 18) that it is no longer a sponsor for the M-League from this year. The TM statement reads: “We wish to inform that Telekom Malaysia Berhad (TM) is no longer a sponsor for the Malaysian League from 2019 onwards. “Despite several extensions of the agreed deadline to sign the definitive agreement, both parties were unable to arrive at an understanding. “If it is felt that I am lying, then it is easy to bring the chairman of MFL to justice. This is exactly what happens when politics is mixed with sports. “Last time there were no such problems when the agreement was first struck for an eight year sponsorship deal. But when there’s a new boss that comes in (at TM), football becomes the victim,” said Tunku Ismail.